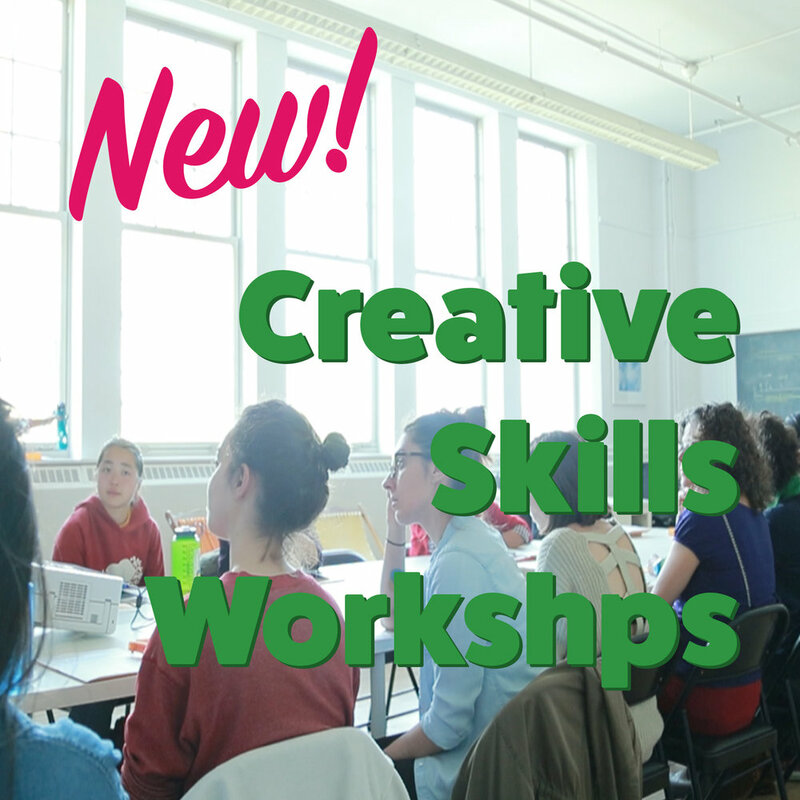 We’re launching our new series of Creative Skills training, including creative communication for small business owners, how to develop a photographic series, literary translation and even Spanish for beginners. Also, get a discount if you signed for more than two workshops. Gerardo Montiel Klint conversa con Salvador Alanis acerca sobre su trabajo y lo que piensa hacer en el taller que dirigirá en el Institute for Creative Exchange. Esta entrevista estuvo al aire el miércoles 27 de febrero del 2019 en el 1610 de AM en Toronto. El programa es dirigido por Martha Pinzón. Performance artist, Rita Kamacho, presented this work as a result of our Art & Ephemerality workshop. The group watched from Artscape Youngplace Mezzanine two women throw flags as an ephemeral expression of time passing. In November, 2017, we Invited Canadian Laureate Poet, Fred Wah, to read at the International Festival of Mayan Culture in Merida, Mexico. Fifteen years before, Fred Wah spent a month on an arts residency in that city. This residency was marked by the devastating effects of hurricane Isadora, storm that severely hit the Yucatan Peninsula. During that period, Fred Wah wrote the first section of his book "Is a door". The poem Wah reads on this video is part of this book. Visual artist and educator Elizabeth Greisman talks about her experience with ICE Immersion Series. The first time that Vivian read something about gangs in Toronto was Christmas 2010, in Ireland, when she was nineteen years old and studying English Literature. The gang in question was MS-42 and its name appears in a draw that she found in one book at Temple Bar Book Market. The name of the gang was written in a bookmark, and the complete sentence said Peace for MS-42 or something related to pigeons. In one of its corners, the bookmark also said Toronto, 2007, and something about donations or charity. In the middle of November, David Dang, nineteen, was kidnapped on his way out of a Blue Jays game. Although the street was far from deserted, there were no witnesses, except for five David’s classmates, who saw him head to a Tesla car, where a person in sunglasses was waiting for him. That afternoon, David didn’t come home and his parents filed a police report few hours later, after they had called few of his friends. When he was found, two days later, his body shows unmistakable signs of strangulation. A Greek immigrant found his body near Thomas Merton School. The greek was accused of the homicide and spent one week in a cell, at the end of which he was released. When he got out he was a broken man. He was asking for his son, and a month later they left together Canada, via Niagara, to the United States. The police report said that the Murder was made in the name of M-42. In January 2009, five members of M-42 gang were arrested. they were accused of several murders committed after Davi’s one. From that day on, she became an enthusiastic follower of that gang, and set out on a quest to find more information about them. For years, she thought that Canada was a peaceful place, but she realized that was just ideology —as her professor loves to say—. She told this story to Andres, one day that they were having a picnic. That day, they were also doing a map about On the road. This story is very simple, although it could have been very complicated. Also, it is incomplete, because stories like this doesn't have an ending. It was afternoon in Eugene, Oregon, and it had been raining all day. The rain stopped and almost immediately, it started to smell like very deep frozen seaweed which smitten(?) Andres and Vivian with feeling of utter happiness. The barn was closer to the mountains. The job advertising appeared in Craigslist, and they decided to apply because they also offer a place for living. You find a baby raccoon by itself in the forest. You take it with you, with the same feeling that inspire some parents towards adopting a child from the third world. You give it a better life at your home. If you are lucky, the animal won’t get sick or won’t be killed by another animal. Nature has always been a school of the uncertain, and bad luck in nature is one of the way that human drama enhances it. The rest is Disneyland (including, for sure, ecology). The horse was as tall as a basketball player and as white as a wise old man. It was running in circles, leashed to a big stick. There was also a woman. She was saying or broadcasting something that was obviously addressed to the horse. If the aim of her work was making the horse run, she was successful. The barn was humid and its high roof made it look like a streetcar storage. Ninety days in one country is enough time just for tourism or journalism (who are, at the end, professional tourist or writers). They should wait for the same amount of time for being banished from the U.S. because the didn't get married when they should have. Then ask for refugee visa in Canada, that was the plan. What happen if we get attached to the horses? In the scale of separation, it is easier leaving a horse than a dog or a cat, unless you were a horse riding fighter or a peasant. And our couple was just a couple trying to stay in Canada. Our third ICE Immersion series was conducted by writer and professor Eva-Lynn Jagoe and Public Studio artists and founders: filmmaker Elle Flanders and architect Tamira Sawatzky. “Art and Collectivity" was a multidisciplinary workshop that seeks to engage in artistic praxis around questions of social justice, environment, and political ideologies. Visual artists, activists, writers, city dwellers, and social media users are all invited to participate in this 3-day workshop in which we will share our ideas and practices of living in this moment and this landscape.